Traders Dynamic Index — a comprehensive but helpful indicator that uses RSI and moving averages along with some on-the-fly volatility calculations to offer the trader a full picture of the current Forex market situation. 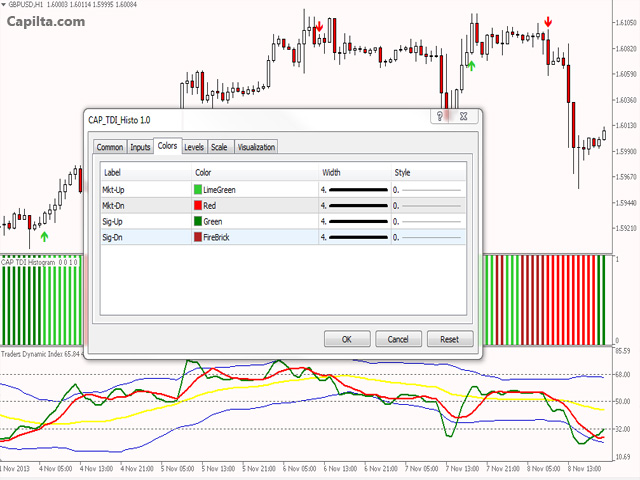 CAP Traders Dynamic Index Histogram - is a histogram version of main CAP Traders Dynamic Index indicator. 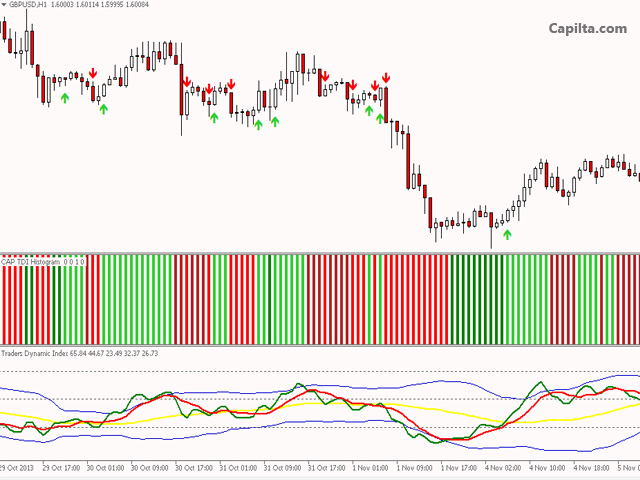 Indicator use below three line of main Traders Dynamic Index. Green line below Red Line = IndicatorBar Color FireBrick. Green line < Red Line = Bar Color Red. Send email on alert - Send email on alert. Excelente ... dá sinais que podem ajudar no emocional ... isso somado a estudos gráficos se completa...!